I’m Melanie from Reasons To Skip The Housework, where I offer up ideas daily that will help keep you completely occupied on everything other than the housework! Today, I’m happy to share some kid quote coloring pages that everyone will love! I could color all day, every day, if given the chance. It’s relaxing, peaceful and fun for me, and my girl enjoys coloring too, so it’s the perfect activity to do together when I’ve had enough of dressing up like a princess. When the summertime “I’m bored” phrase starts to pop up, print out these kid coloring pages and put them on the table with colored pencils, and it will keep them busy for hours! 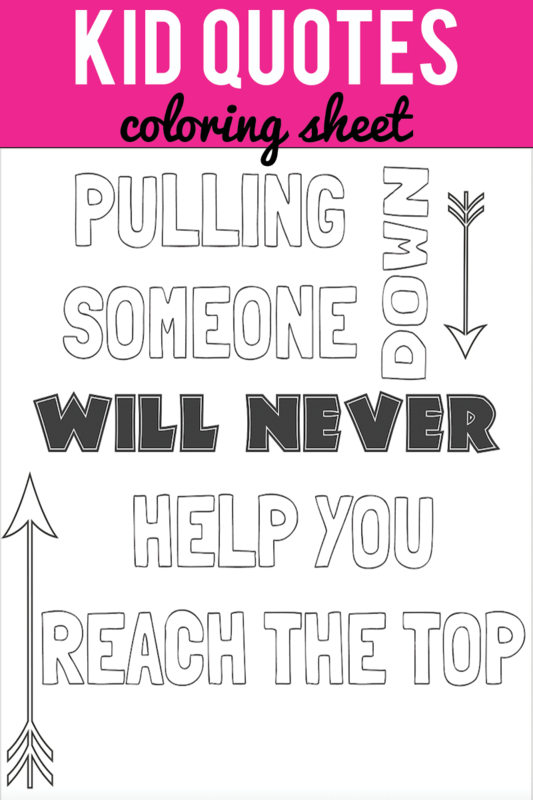 I’ve made up two quotes that are great reminders for kids and help remind kids that bullying is plain WRONG – and I’ve also created a fun geometric coloring page that even the adults at the table will enjoy! 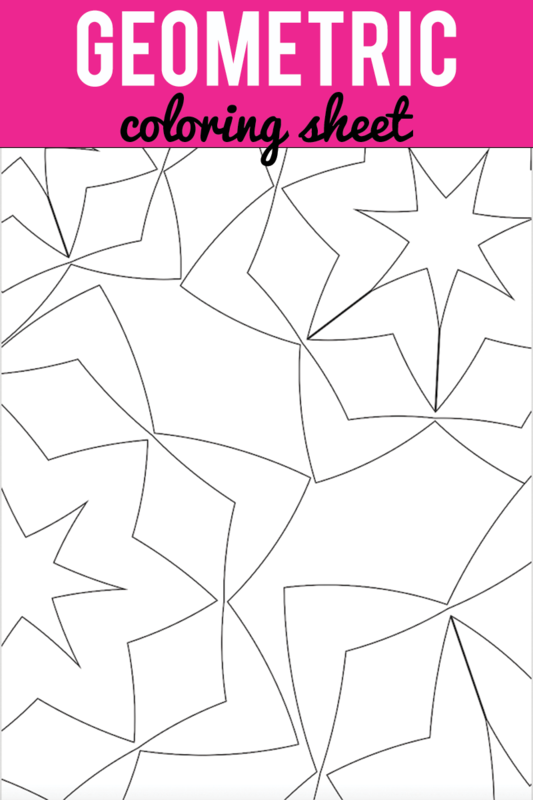 Click on the images to download your printable coloring pages. 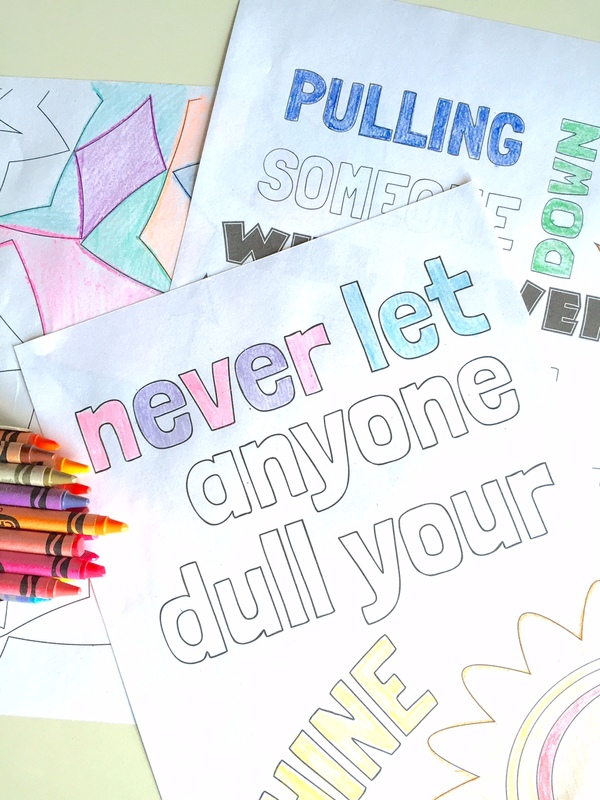 Multiple kids can color these kid quote coloring pages and all end up with different designs, so they’re fabulous work to put on the fridge when the kids are done! 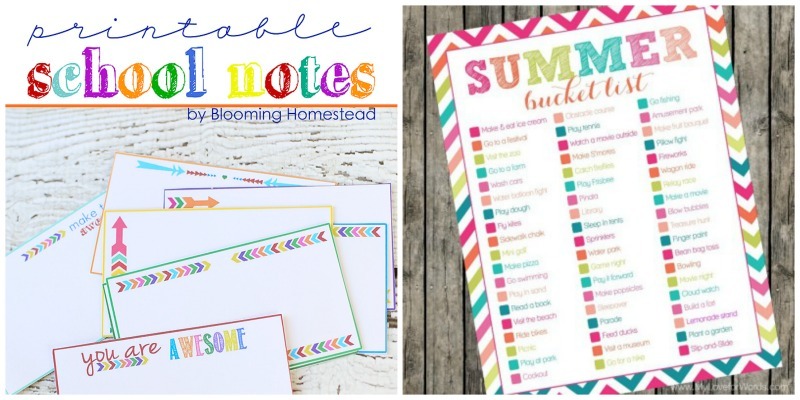 For more fun printables, check out Printable School Notes and a Summer Bucket List that will be perfect for “I’m Bored” times!